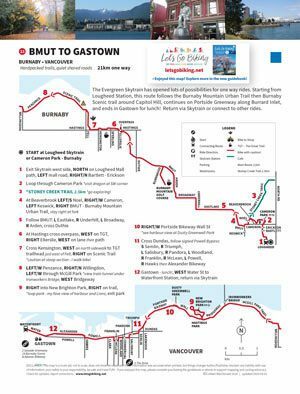 BMUT to Gastown – Let's Go Biking! 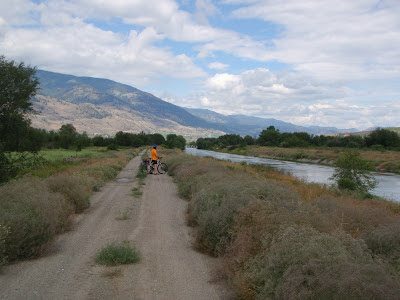 BMUT to Gastown – Let's Go Biking! 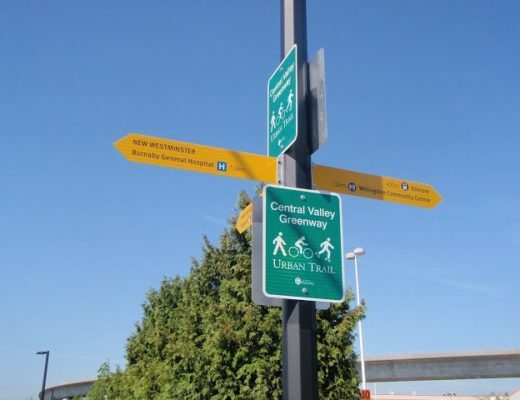 The Evergreen Skytrain has opened lots of possibilities for one way rides. 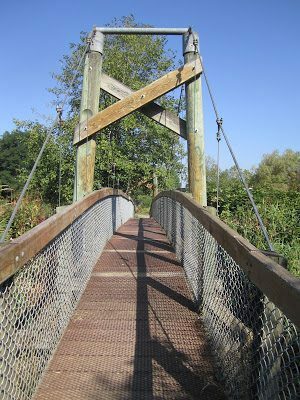 Starting from Lougheed Station, this route follows the Burnaby Mountain Urban Trail then Burnaby Scenic trail around Capitol Hill, continues on Portside Greenway along Burrard Inlet, and ends in Gastown for lunch! Return via Skytrain or connect to other rides. Crunchy fall leaves on the Burnaby Mountain Urban Trail. 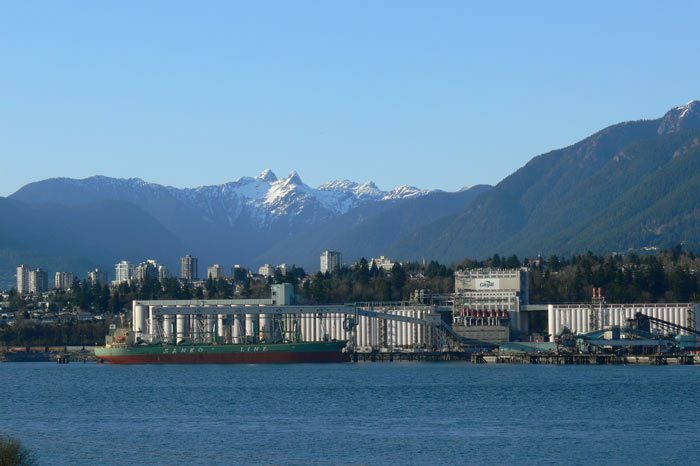 The Lions on a clear day – one of my favourite things about Vancouver. 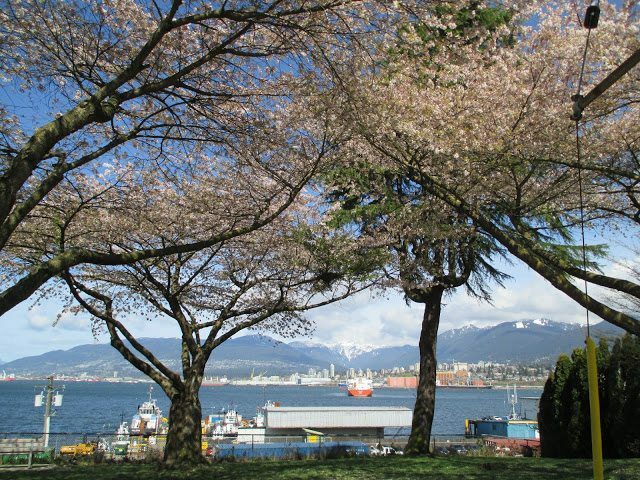 Crab Park offers views of the Sails at Canada Place and is it is fun to watch the container port loading ships. Gastown – for lunch, of course!